No need to fear the ham! 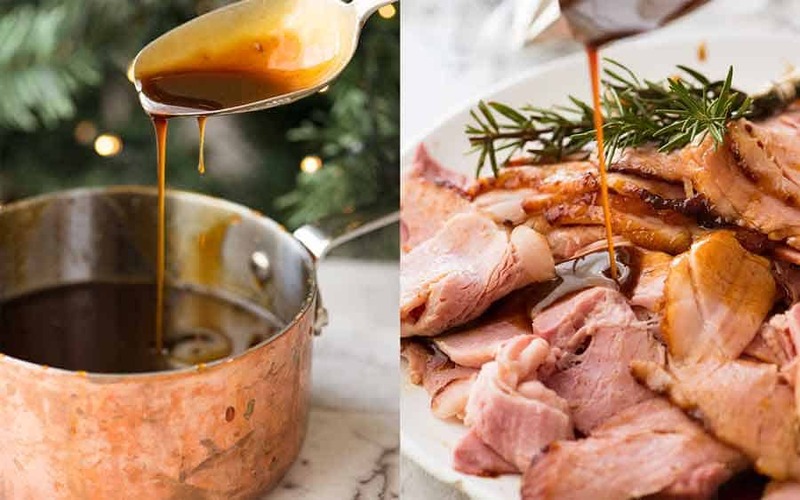 It’s super easy with this magic 5 ingredient Brown Sugar Ham Glaze that will transform your Christmas Ham into the most incredible sticky, caramelised centrepiece! PLUS, today I’m sharing my simple rules to make your Christmas ham look and taste as good as they do in glossy magazines (and blogs 😂). Christmas made easy!! 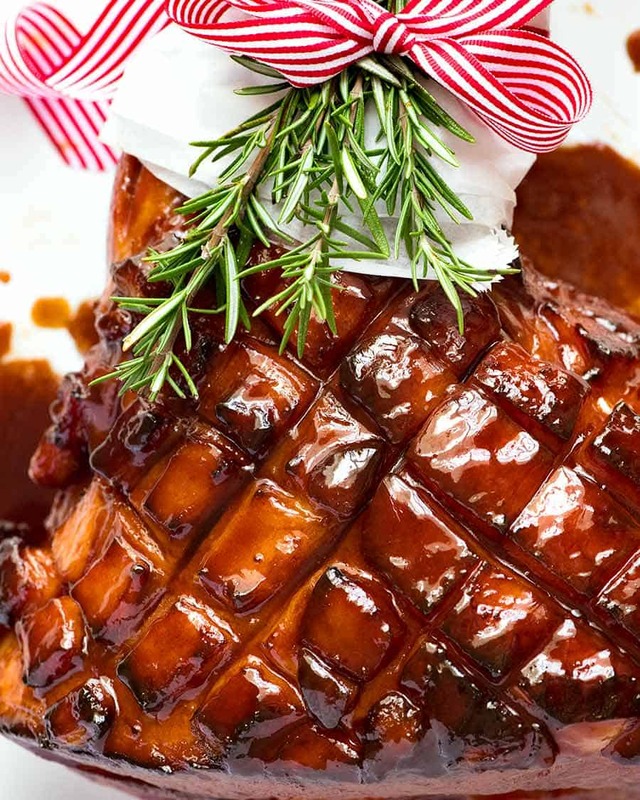 BROWN SUGAR GLAZED HAM – Made Easy! I’m abnormally paranoid about wasting your time and money – especially for grand centrepieces. Hang ups from my youth – we lived on a tight budget when I was growing up. I hope I always remain this way! As a result, I have somewhat of an obsession with ensuring my recipes work. Which means making them repeatedly until I’m confident I’ve covered off the “problem” areas. So. Christmas Ham. I think I’ve made it considerably more than your average person. And today I want to share the knowledge I’ve accumulated. 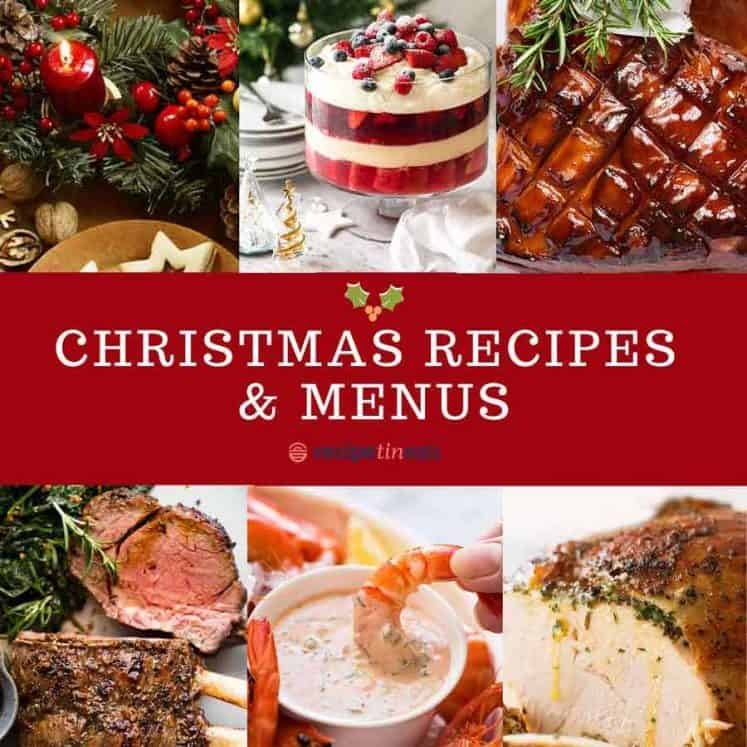 Making Christmas Ham easy, easy, easy! MUST add water into pan to stop pan drippings from burning. Burnt drippings = can’t use for basting or sauce! Bake at lower temp – Most recipes say 180C/350F which causes the glaze to burn too quickly. Lower it to 160C/320F. 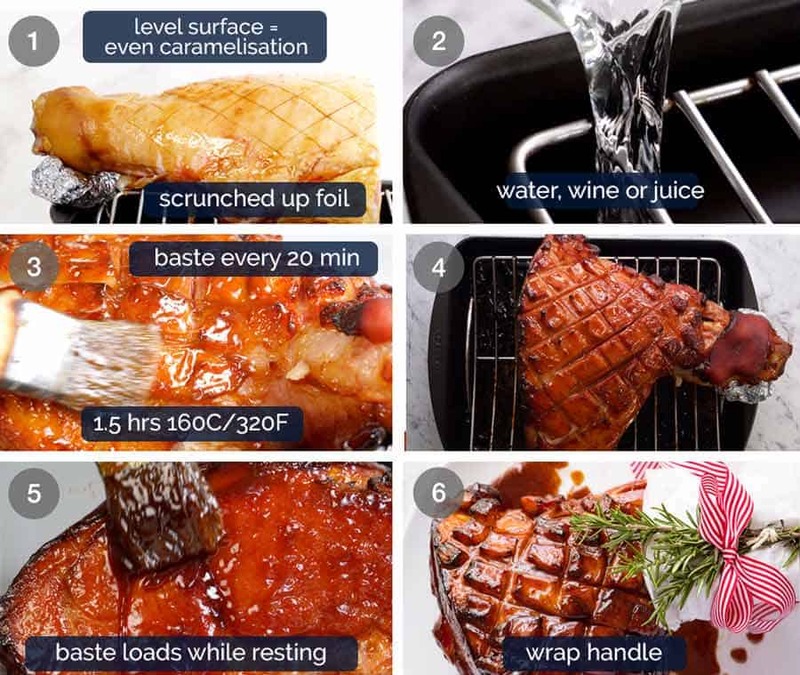 Baste loads after cooking – this is when you can “paint” the ham to make it beautifully deep golden all over with a thick glaze using the caramelised pan juices! Get ahead – prep ham and make glaze the day before then cook on the day. OR cook the ham ahead then simply reheat! Remove rind – easy, it wants to come off! Best Value Recommendation (Australia): Woolworths wood smoked $9/kg ($4.50/lb). I have been buying this for years. Excellent value for money and I am convinced that most people would not know the difference between this and more expensive ones. 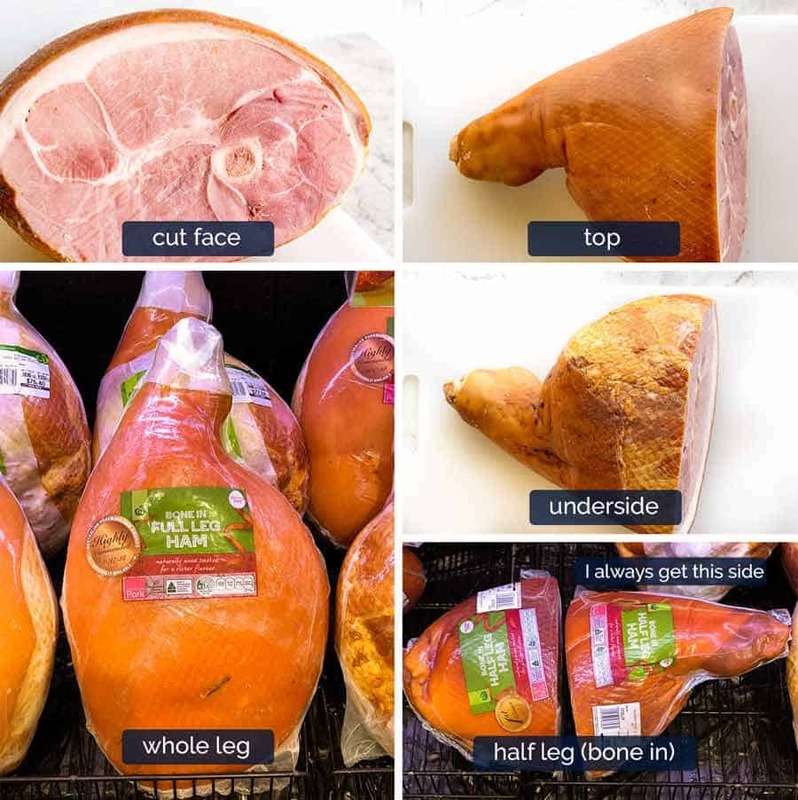 The ham pictured in this post is a Woolworths one. If you look at the cut face of the ham in the photo above, you can see it looks like meat, not shiny rubbery deli ham. PS Don’t get the $7/kg one. The extra $2/kg is worth it, I promise. Difference between value and quality hams: Good hams from quality butchers have a kind of “meaty” texture and a pure ham flavour. It’s completely different to the stuff you slap on sambos! Supermarket and value hams are injected with brine (salty water) to make them juicier. This isn’t necessarily a bad thing per se, it’s just that some go overboard and you end up with a rubbery, kind of wet ham texture. Lower quality hams pretty much taste like the stuff you put on your everyday sandwiches! Pull – About halfway through, you should be able to just pull most of the rind back. It will probably tear – that’s fine, just peel back / slice off the remaining bits. Repeat on underside. Fat only – cut into the fat only, don’t cut into the skin. 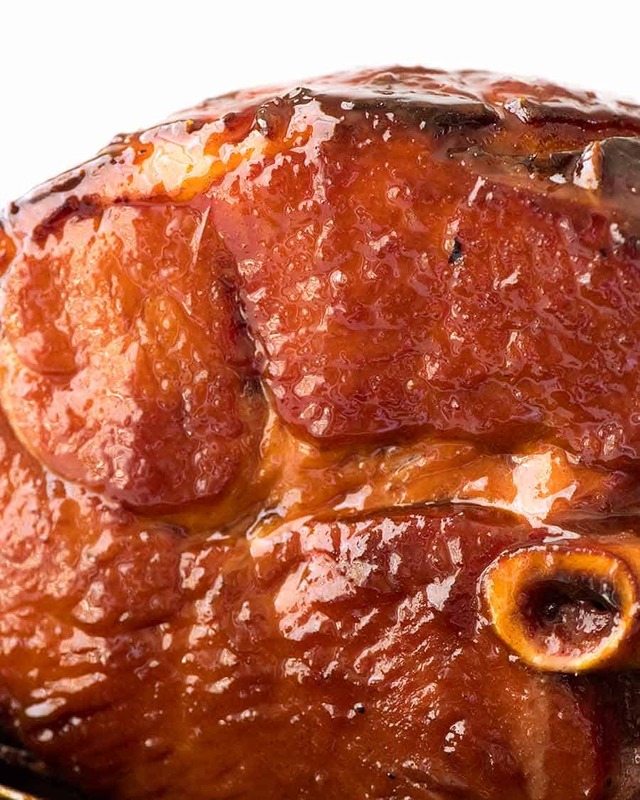 Clove studding option – follow directions in this Maple Glazed Ham. It’s more for visual than flavour – needs to be removed before serving. EXCESS FAT: If you want a beautiful glossy, caramelised ham, you have to leave fat on. But there is quite a thick layer of fat on most hams and it does not melt (render) when baked. So if you have an aversion to that amount of fat, feel free to cut excess off but make sure you leave at least 0.5 cm / 1/5″ so you still get a gorgeous caramelised surface!! 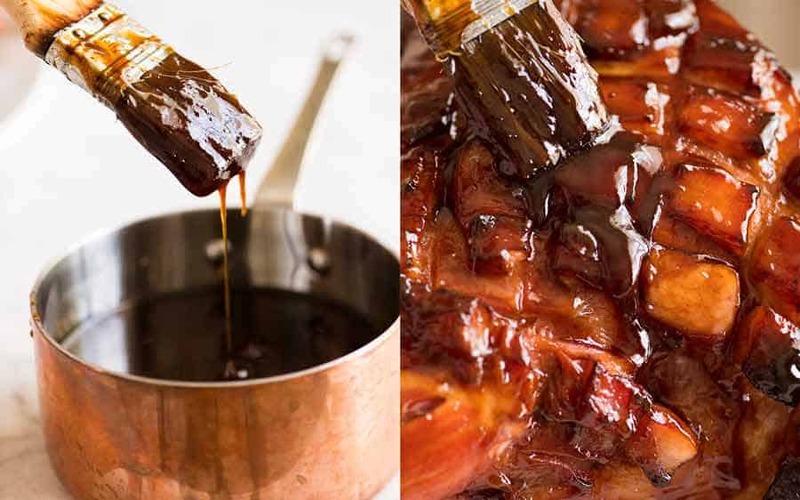 Brown Sugar Ham Glaze is a classic recipe. It’s very similar to the Maple Mustard Ham Glaze I shared years ago – but made without maple. It’s truly magical how such a simple ham glaze recipe can transform into caramelised amazingness once it’s slathered on the ham. The key with the Brown Sugar Ham Glaze is to balance the sweet (sugar and some honey) with sour. 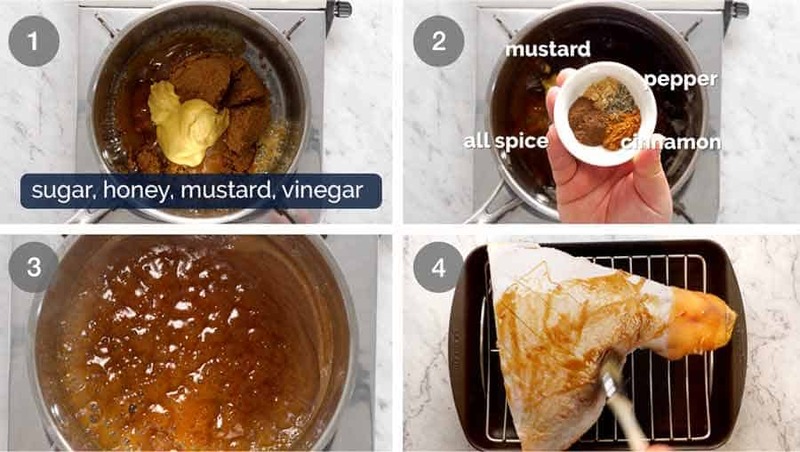 I use vinegar and mustard (which also thickens the glaze). I like to add a touch of holiday spirit with All Spice and Cinnamon, but this optional! Making a Brown Sugar Ham Glaze is as simple as plonking the ingredients in a saucepan then just simmering until the sugar dissolves. Then slather all over the ham. And I mean ALL OVER THE HAM!!! This is the easiest part – if you follow a few very simple Nagi Ham Rules that make all the difference! LOWER TEMP – The oven temp of most ham recipes is too high, resulting in too many burnt bits. Lower the temp slightly – you’ll thank me later! Baste, baste, baste! Baste lots – every 20 minutes. More basting = better glaze! Baste LOADS before serving – This is where magic happens, especially if you’ve got bits that didn’t caramelise well. As the ham rests, the liquid in the pan thickens so you get a thicker glaze on the ham. 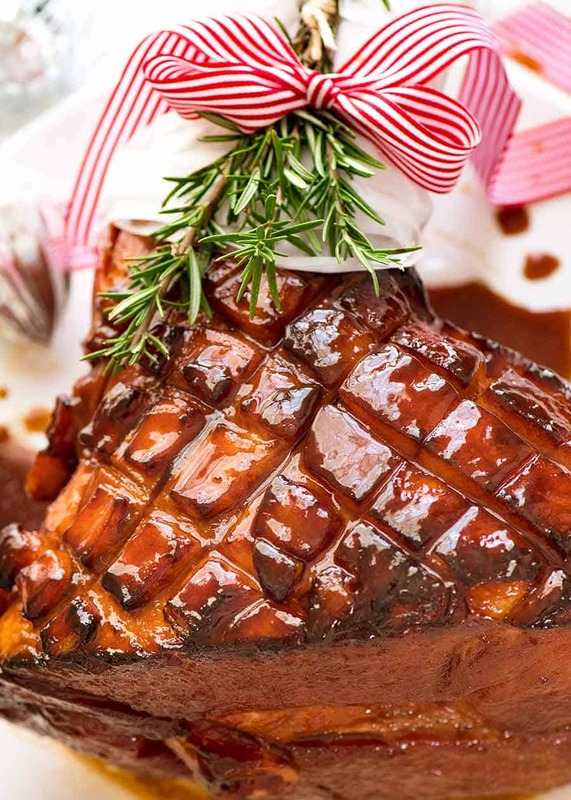 Think of it like paint – it will make your ham a glowing deep caramel colour with a super thick, glossy glaze! DON’T HESITATE TO FOIL PATCH! The foil will stick to the glaze like glue – then peel off carefully once the ham is done. If you accidentally peel some caramelisation off, don’t fret! Just paint it with the pan juices and it will look as good as new! The glaze is everybody’s favourite part…. and there’s just not enough to go around! So some years ago, I started using the pan drippings as the sauce to serve with the ham. 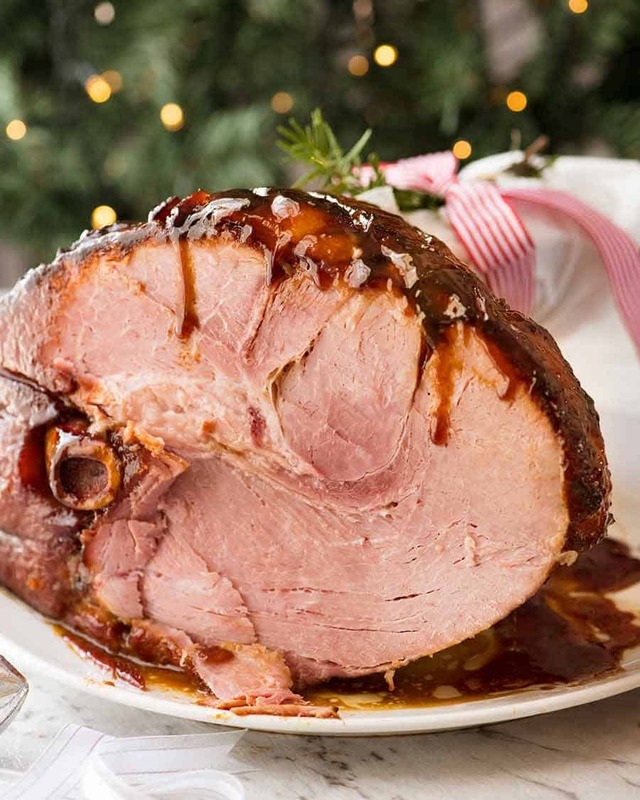 It’s loaded with flavour from both the Brown Sugar Ham Glaze AND the juices of the ham. The pan drippings are usually a bit thick to use as a sauce so I just thin it with water. The flavour is very intense so you don’t lose flavour at all. Other sauce options: chutney, Cranberry Sauce, mustard, caramelised onion jam. And there you have it. My ultimate ham guide! There’s a few bits I haven’t covered – cooked ham storage, shelf life, making ahead (this is super handy!) – which I’ve popped in the recipe notes. This time, I can 100% promise you that I am sitting at my computer eating this years’ leftover ham bone recipe. It will be with you in the first week of the New Year (because I have something else I’m super excited to share as this years’ Christmas leftovers recipe!!). PS Also, my other Christmas Ham child – Maple Glazed Ham. The maple flavour is lovely in this! Ham and Cheese French Toast Roll Ups – insanely good and super quick! Epic Christmas Leftovers Bread Bowl Sandwich! Take ham out of the fridge 1 hour prior. Preheat oven to 160C / 320F (standard) or 140C / 285F (fan). Arrange shelf in lower third so the ham will be sitting in the centre of the oven (not right at the top of the oven, this causes more uneven cooking on surface). Scoring - Cut 2.5cm / 1" diamonds into the fat (don't cut into flesh). Place brown sugar, honey, mustard, cider vinegar, pepper and Spices into saucepan over medium high heat. Simmer and stir until sugar is dissolved. Place rack in a baking pan and place ham on rack. Baste all over with the glaze (except the handle), including underside and the cut face. Reserve remaining glaze for basting. Whisk water into pan juices until it's a thick honey-like pouring consistency. Wrap handle with baking paper, secure in place with ribbon. Stick in rosemary sprigs. Place ham on table as centrepiece with Sauce on the side. Lovely served warm or at room temp! Once everyone has oohed and aahed over it, nominate someone to be the Ham Carver! Slice thinly and serve with sauce. 1. Ham - Read in post for my recommendations for ham type. Most important is that it's ready to eat (ie do not use raw ham eg gammon) and has the skin and fat on. Bone in is strongly recommended for juicier ham. Scale recipe - Recipe will work for whole ham leg as well - click on Servings and slide to scale up ingredients. Should be about the same cook time (go by colour). There is plenty of glaze. 2. Water - can sub with dry white wine or even OJ, cranberry juice or apple juice. I usually use water. 3. Vinegar - can be substituted with white wine vinegar, champagne vinegar, rice vinegar, or other vinegar that's not quite as harsh as normal white vinegar. If using normal white vinegar - use 2 tbsp. 4. Spices - feel free to sub with flavourings of choice. Just add and taste until it's the flavour you want! All Spice can be switched with nutmeg, mustard powder can be skipped. 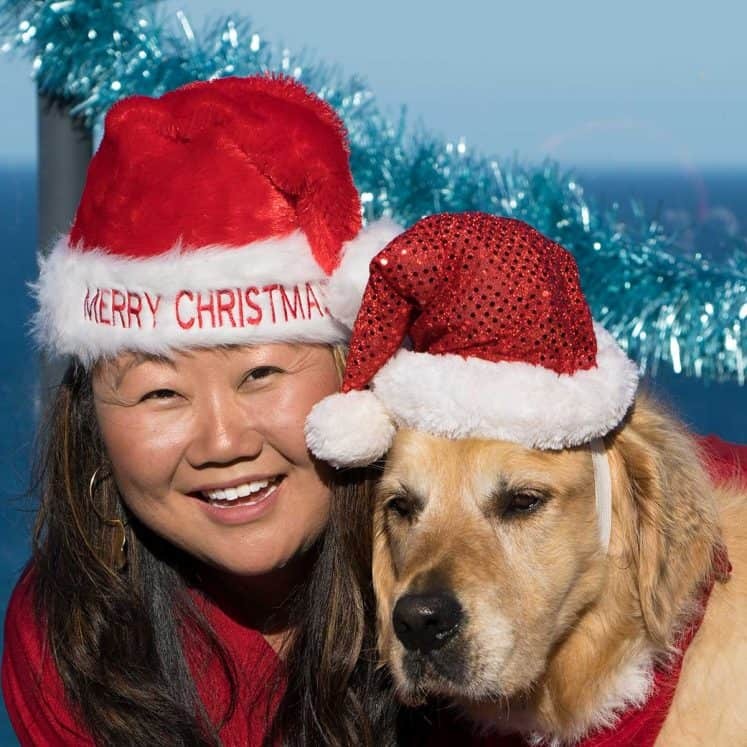 Ginger is also a nice holiday flavour. 5. Remove rind - Video and photos in post are helpful! a) Cut through skin at the top of the bone handle and down each side of the ham. 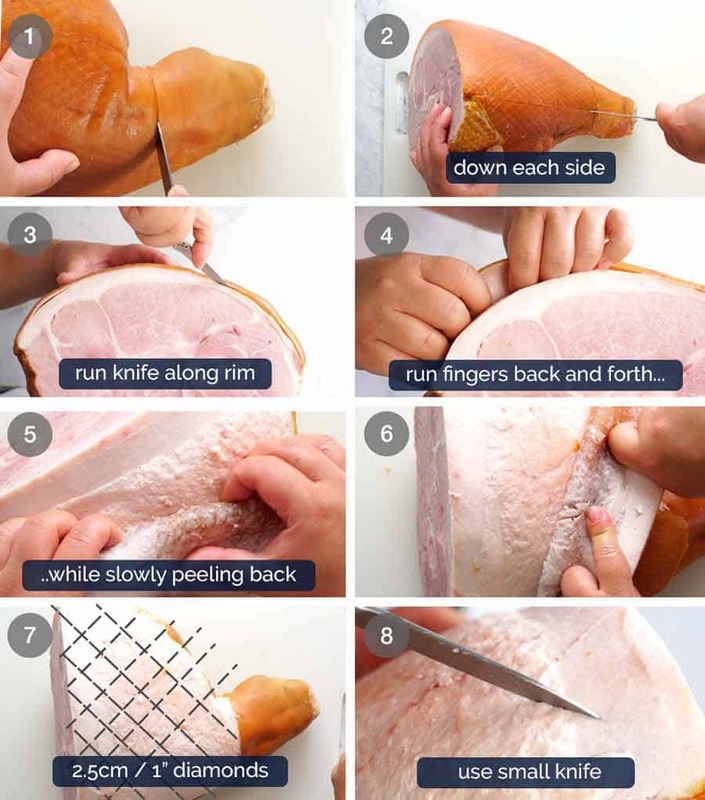 b) Run tip of small knife between the ham rind and fat. c) Slip fingers under rind, then run fingers back and forth while pulling skin back. Keep on as much fat as you can! Once halfway through, should be able to pull rind off. d) Flip ham and remove rind from underside. Also read in post about option to trim back the fat a bit. Minimum fat requirement is 0.5cm / 1/5" in order to achieve that beautiful glazed look! 6. 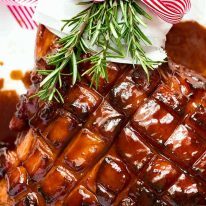 Basting - As the brown sugar ham glaze cools, it thickens so it sticks better to the ham as you baste during the cook time. Be generous and slather it on thickly - aim to use it all by the end of the cook time. 7. Internal temp - Ham is already cooked and ready for eating, so glazed hams are really about extra flavour + glazing. But it is best practice to ensure the internal temp of the ham is 60C/140F as this is the temperature at which any bacteria inside is killed. 8. Foil patches - Use bits of foil to cover bits browning too quickly. It will stick to the glaze. Peel off carefully. If you accidentally strip off the caramelised surface, don't worry - just "paint" over it with the pan juices! 9. Basting while resting - pan juices thicken which allows you to glaze the ham generously. I use it like paint - to get an even colour all over and a thick glaze! 10. Sauce: It thickens as it cools so get the consistency right at the temperature you are serving it (both warm and room temp is lovely). 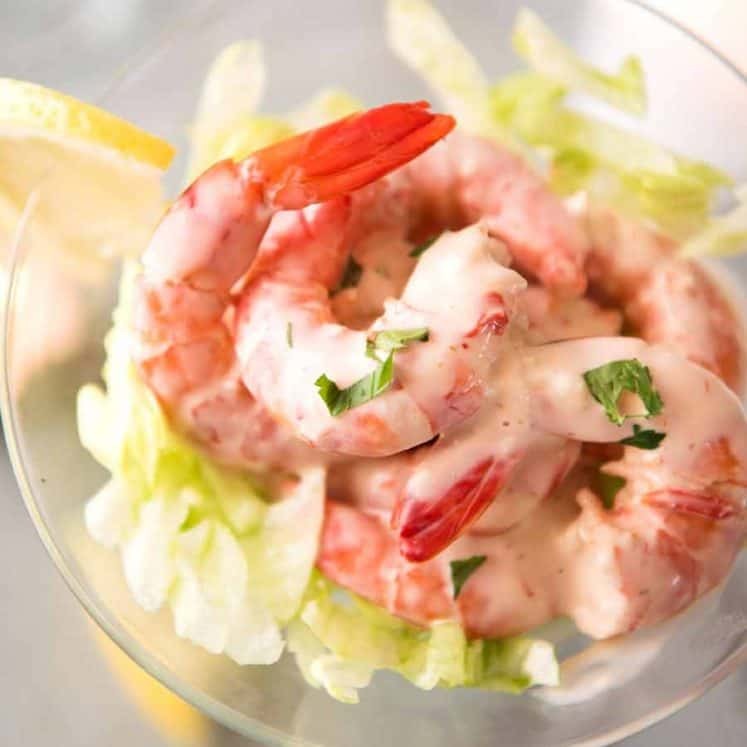 Flavour is super intense so don't fret about losing flavour by adding water. 11. Servings - Allow for 200 - 300g / 7 - 10 oz bone-in ham weight per person. So a 5 kg / 10 lb bone in ham will serve 15 - 20 people. The bone + decent amount of meat (for leftover ham bone recipe) is about 1 - 1.25 kg / 2 - 2.5 lb in a 5 kg / 10 lb ham. Of course, if you have TONS of other dishes, one ham will go further! If I have a turkey as well, then I use 1 x 5 kg / 10 lb ham for 25 - 30 people. Quick links: Garlic Herb Slow Cooker Turkey Breast, Roast Turkey Breast with Garlic Butter, Juicy Slow Cooker Turkey Breast with Gravy. 12. Storage - There's a lot of schools of thought about how long ham will last. 1 week is definitely safe if you use a ham bag, or slice then place in very airtight containers (I'm still alive!). Can also freeze for up to 3 months. Ham bag: Use a purpose made ham bag, calico, tea towel, or even a pillowcase. Soak in 1 L / 1 quart water and 2 tbsp white vinegar for 15 minutes. Wring out excess water, then place uncarved ham inside. Resoak in same water-vinegar solution once the bag dries out (every 2 - 3 days). b) Bake the ham ahead. Then on the day of, reheat the ham either in your slow cooker followed by oven to resurrect the glaze or loosely covered with foil in the oven. Baste loads with preserved juices - this is the most important part. It will look as good as new - I've done this plenty of times, also I gift cooked hams and give jars of the pan juices for basting / serving! 14. Nutrition assumes all sauce is consumed which it probably won't be. 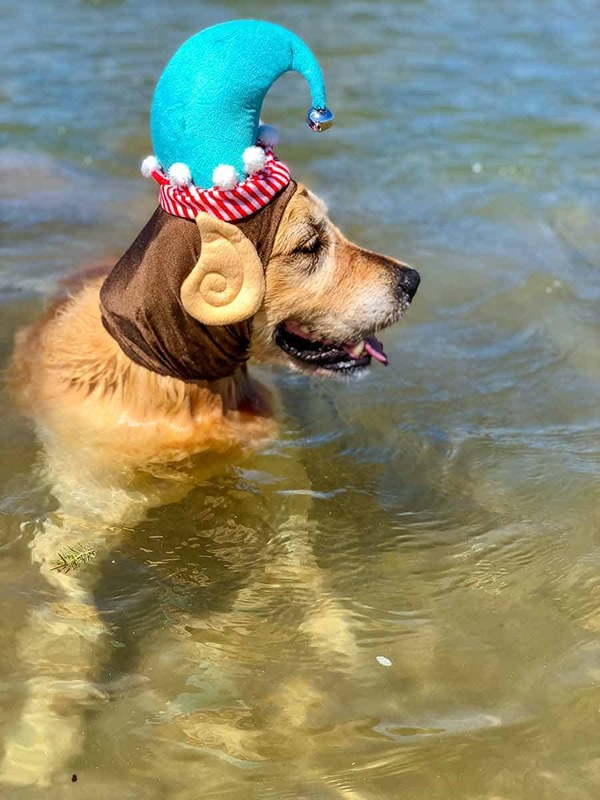 It is that time of the year when we strip Dozer of what little dignity he has remaining for the amusement of myself and others at the dog park…. I just love your recipes, so I thought I would try your Brown Sugar Glazed Ham, but I got confused on the weight. I was looking at your ham bean soup recipe and mistakenly bought a 2.5 lb smoked ham: ) It is quite big enough for me though, seeing as though I live alone, but I was wondering about the cooking time etc. Would you mind helping me out, thank you. Made this for my husband;s birthday and he licked the plate. Also made the Magic Broccoli (which would make a broccoli lover out of anybody). Thanks for all your great recipes. You are my go to source for recipes and none have failed me.